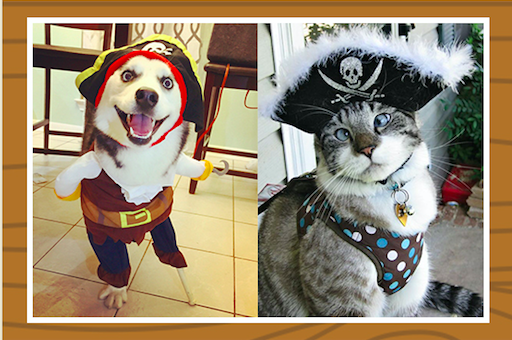 International ‘Bark’ Like A Pirate Day – September 19th! In an amazing confluence of events, the 3rd Tuesday of September (Pet Camp’s Doggie Day Care Extravagance Day) is September 19th – International Talk Like a Pirate Day! Some of you may not know that this is Mark’s favorite holiday of the year and it used to be the one day a year Virginia would let him take his front teeth out (damn that permanent bridge work!). Don’t let your dog miss out on our special Pirate Festivities or we might make you walk the plank next time you’re in the lobby! Book their stay!